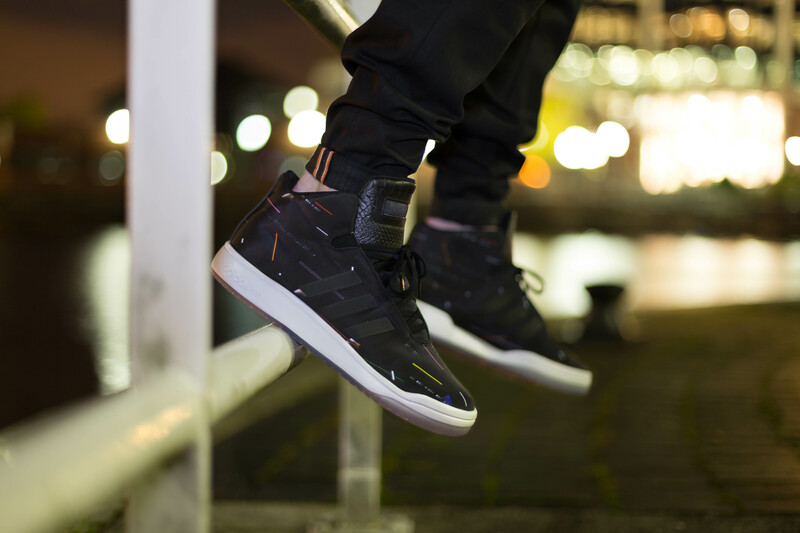 Stripping sneaker design to its foundations, the brand with the 3-stripes presents a new mid-cut silhouette for Fall/Winter 2014 – the Veritas Mid. 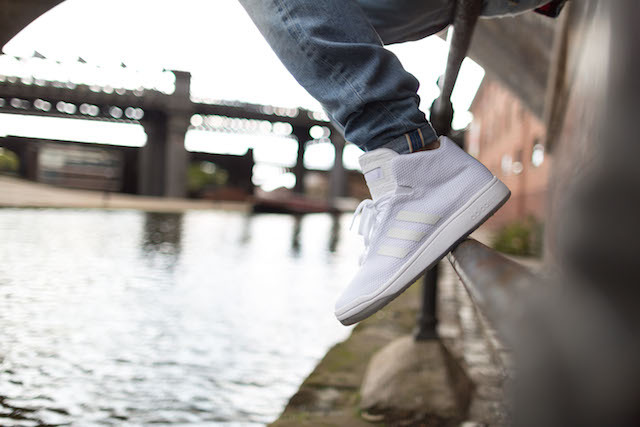 The Veritas Mid model brings enduring elements of adidas Originals’ sporting history into a modern minimalist perspective. By deconstructing features of the Forum – an iconic basketball silhouette, and adding intuitive revisions, a brand new shoe is created – one that is effortless, precise and lighter than any model that has come before. The Veritas Mid’s versatile EVA midsole pays homage to the Forum’s original cupsole design, with a new FITFOAM® sockliner that offers an individualised fit. Its streamlined silhouette is then subtly rounded off with a concealed lace system, contrast back straps and floating 3-stripes marks. The result is a revolutionary new model that’s infinitely adaptable in both form and function – another testament to the power of adidas Originals style deconstructed to its core. 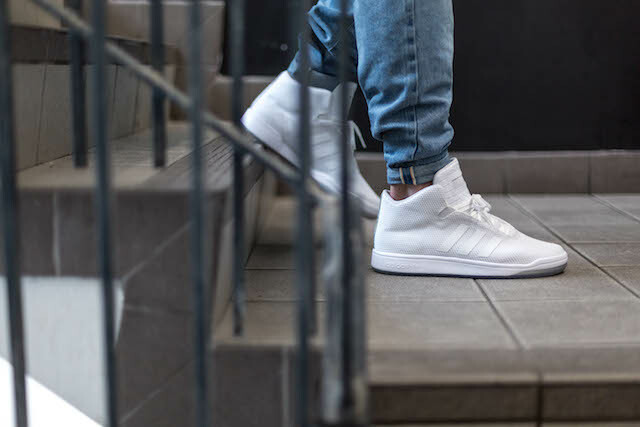 Marking the debut of the brand new Veritas Mid silhouette, adidas Originals presents the Statement Pack. 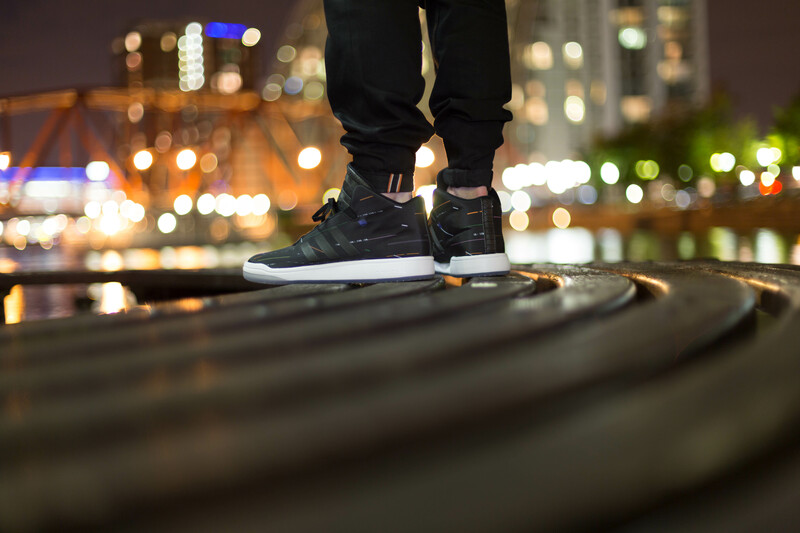 Offering two renditions of the basketball-inspired mid-cut model, the Veritas Mid Statement Pack takes the shoe’s versatile silhouette in two bold directions. The first iteration features a double-white woven upper with a tonal EVA outsole, while the second uses photo-printed nylon satin with a futuristic translucent outsole. Both models are then finished with subtle snakeskin accents on the tongue and back-strap and floating 3-stripes marks, demonstrating the versatility of a shoe that strips Originals’ foundations back to their purest form.